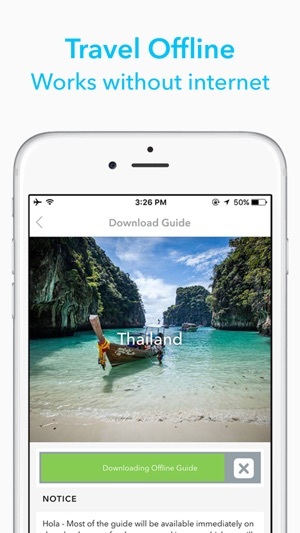 Triposo is your smart travel guide - it’s free and works offline! Our awesome algorithms crunch through millions of websites and reviews to deliver unique recommendations across 50,000 destinations worldwide! 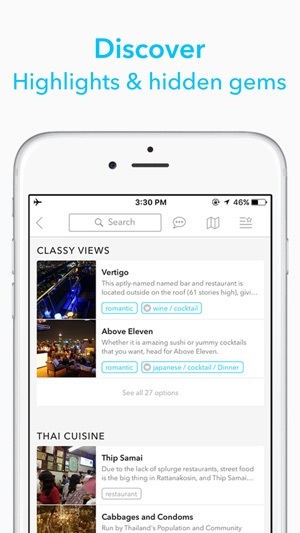 Personalize your trip by picking your favorite hotels, sights, activities and restaurants and book them seamlessly in our app! 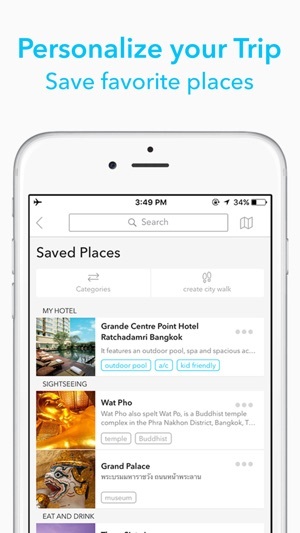 With Triposo, all your bookings are safely stored in one place. That’s not all, our city maps, local tips and personalized suggestions work without the internet so you can wander freely. 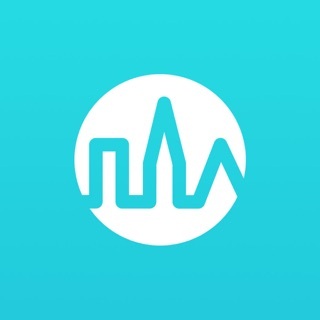 Download the Triposo iOS App and start discovering the world today. • Triposo works offline so you can avoid expensive roaming charges and data plans - offline maps, offline routing and offline city walks all at your disposal. • We crunch through websites and reviews to provide you with the most comprehensive travel recommendations on hotels, tours, local experiences, bars, restaurants and more. • Plan and personalize your trip with suggestions and tips from our experts. 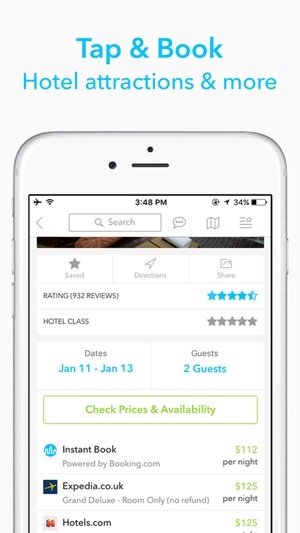 • Book hotels, tours, activities and transportation all in one place seamlessly through our app. 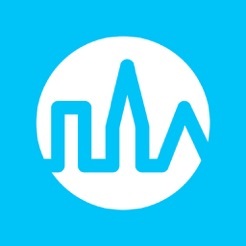 We make awesome travel guides using smart algorithms. To do this, we crawl data from open content sources like World66, Wikivoyage, Wikipedia, Open Street Maps, TouristEye and Flickr. Once we have all the data, it’s time to parse. From each source, we extract all the information we can. Afterwards, we start identifying patterns and matching to come up with one complete record for each location. Now it’s time to determine what is most relevant to travelers. We use traveler’s photos and keyword density to analyze our content. 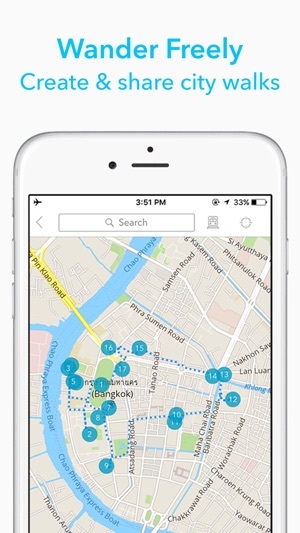 Once we’ve got the most important data, we create the most comprehensive mobile travel guides. The latest version of our app has some exciting features. We have a new mapping solution that allows for a better experience and more accurate information. We updated our travel guide data to ensure you get the latest recommendations. Finally, we standardized our flow for booking hotels, tours and attraction tickets on our platform through our partners. Happy travels! We’ve been on a 4 month train trip through Europe and I’ve been using the app. I download for the cities we’re in and delete once we’ve left. We stay at Airbnb’s so I always drop a pin to where we are staying so we can get home. I love the offline map capability and use it pretty much daily. Yes, it does have a tendency to crash at odd times. For me when on the map and trying to bring up an icon on a site or restaurant. But overall all very useful and I would use again. So I started using Triposo years ago & adored it. I’d download the app for the country we were visiting before we left and everything was awesome. Planning routes based on started items worked good & Iit was my Go-to travel app. With this “all-in-one” app version most of the time the city/location/country never fully downloads. So when I’m out & about the app is a dud. I’m almost ready to dump the app!!! !